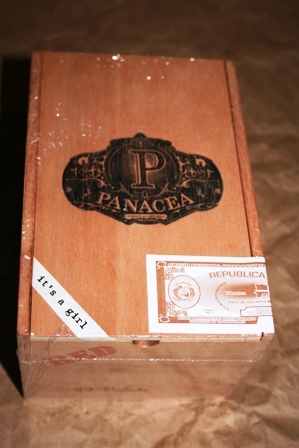 PANACEA Perfecto; It's A Girl! The Perfecto is....well the perfect cigar shape. "Perfect" for that newborn baby girl. Small on both ends. This shape takes twice as long to roll, but it is our best seller. 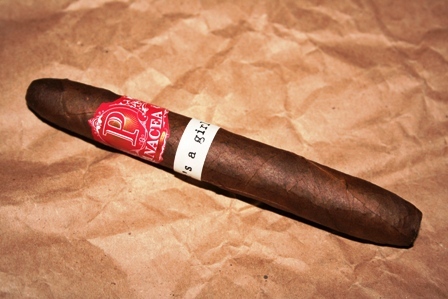 A full bodied, full strength cigar. Brazilian maduro wrapper and Habano binder surround a blend of Seco Cubano, Ligero Piloto Cubano, Ligero Olor Dominicano, and Ligero Nicaragua. A medium to strong cigar, with a great taste. 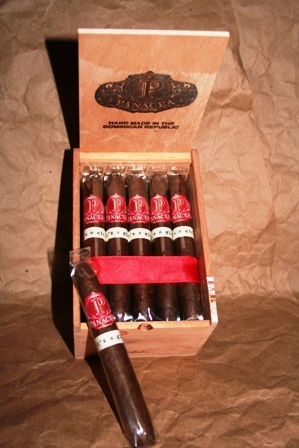 Like our PANACEA Black Maduro - this cigar is smooth and balanced. The difference is in the taste and strength. PANACEA Red has all the nutty, spicy, and sweet flavors of the black...but in a full, bold body and pallet. If you like a strong cigar but insist it be balanced, this cigar will become your favorite.